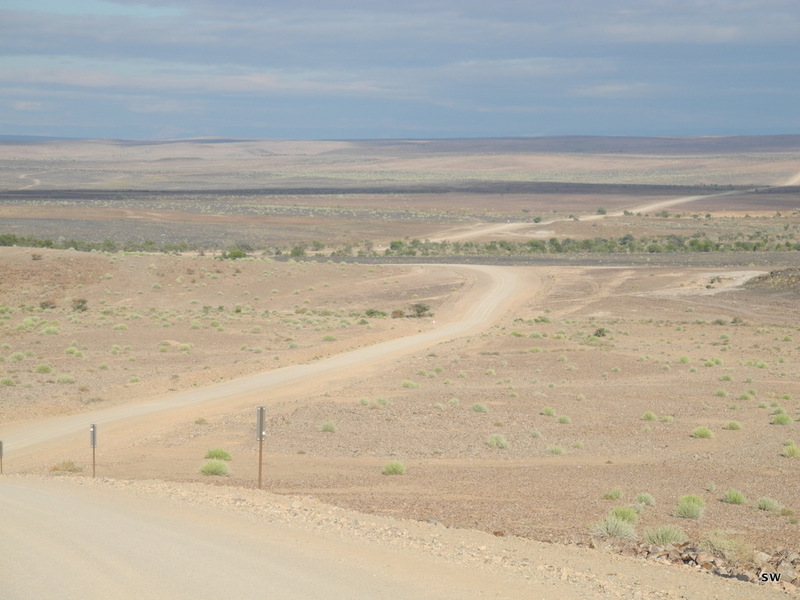 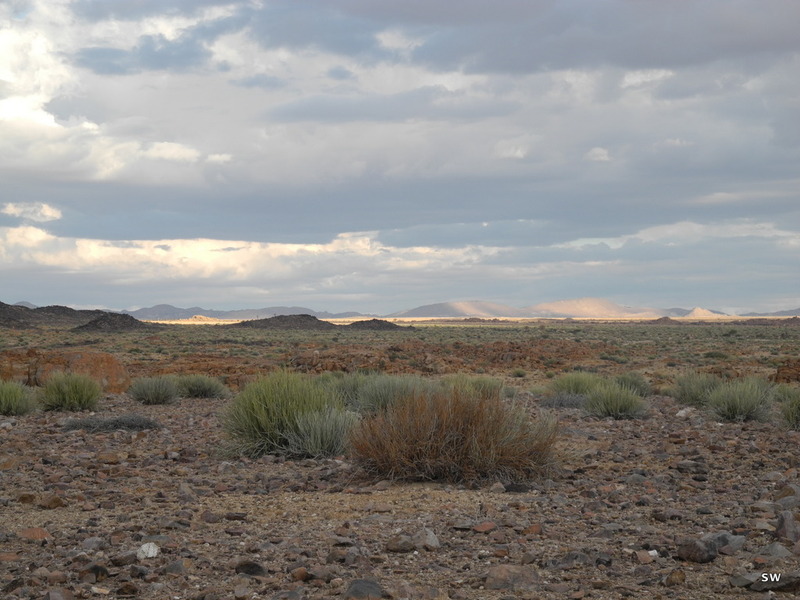 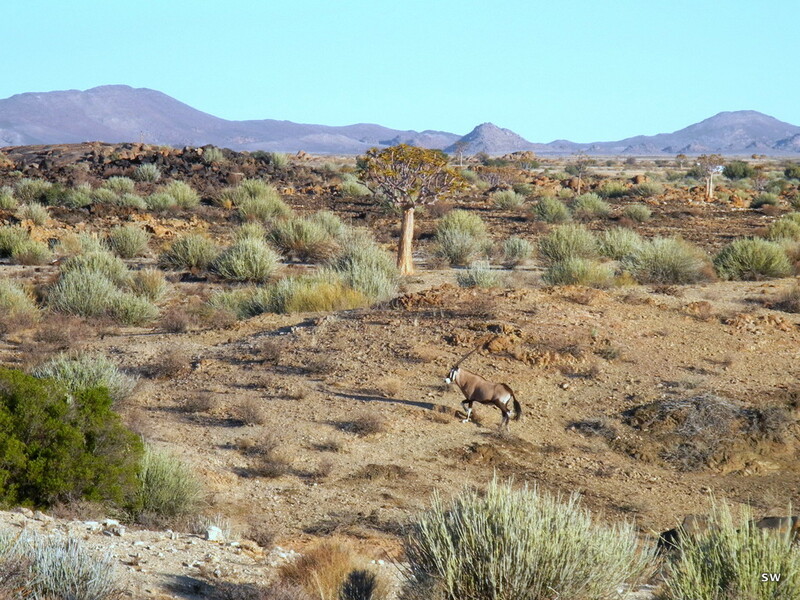 Upon entering the Richtersveld National Park we were greeted by a zebra high up on a hill next to the road and followed the dusty gravel road to the lodge, which is beautifully situated among some unique stone formations. 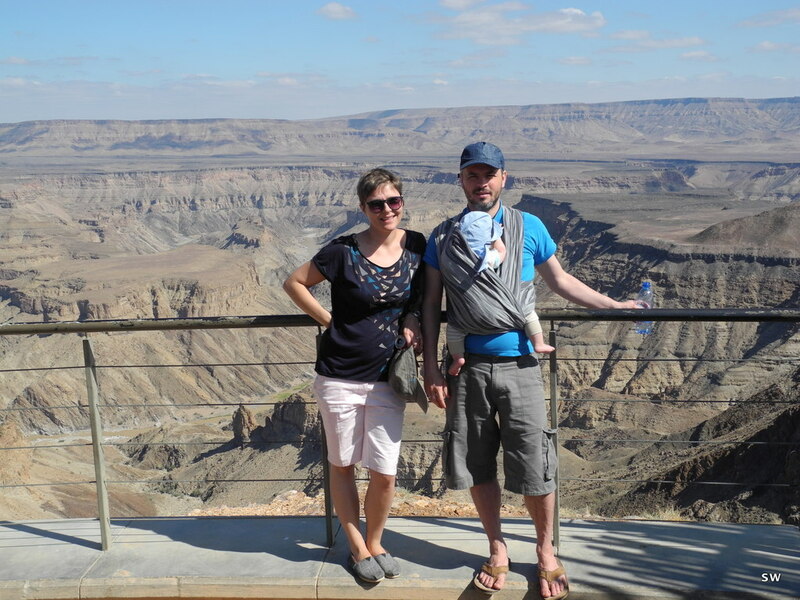 We spent a couple of days there, relaxing at the pool (what a luxury!) 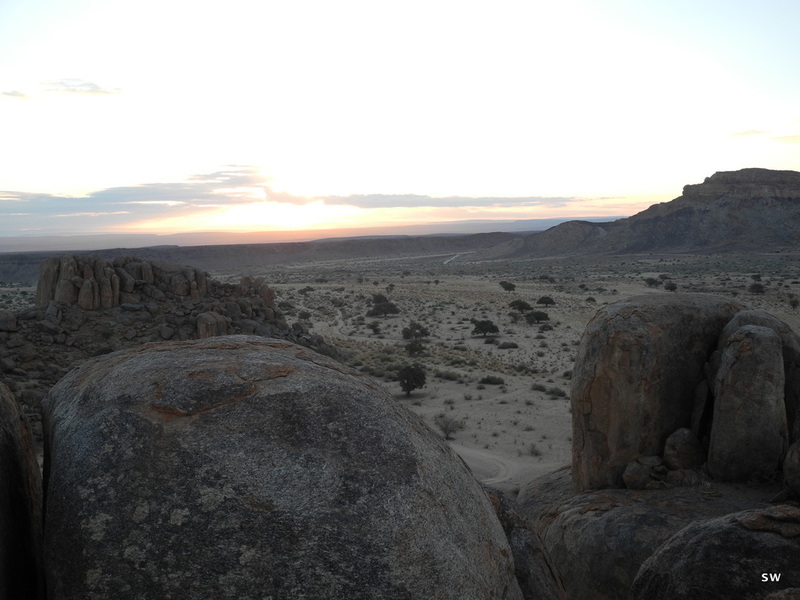 and taking in the vast landscape and the peaceful views. 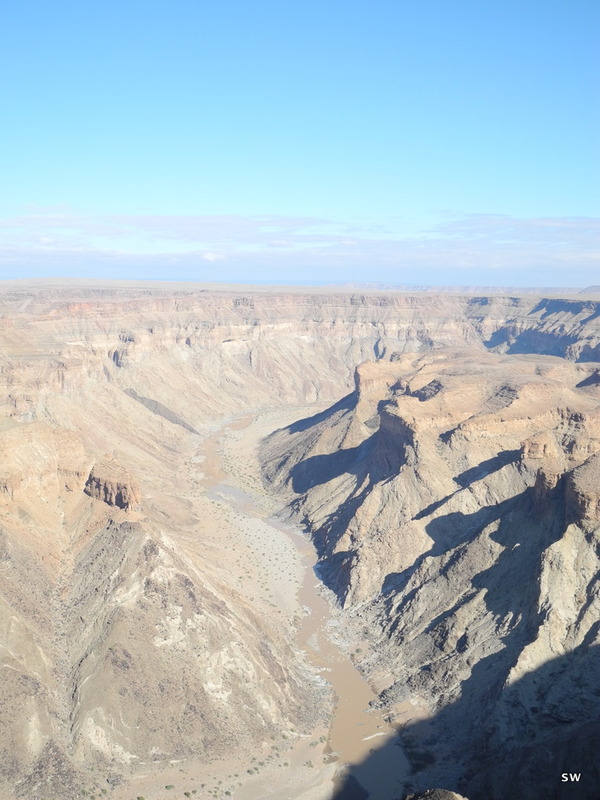 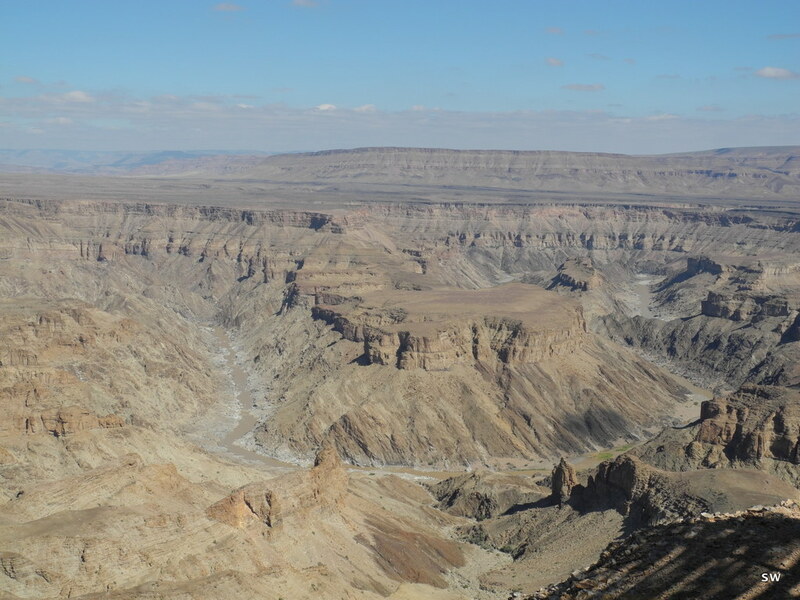 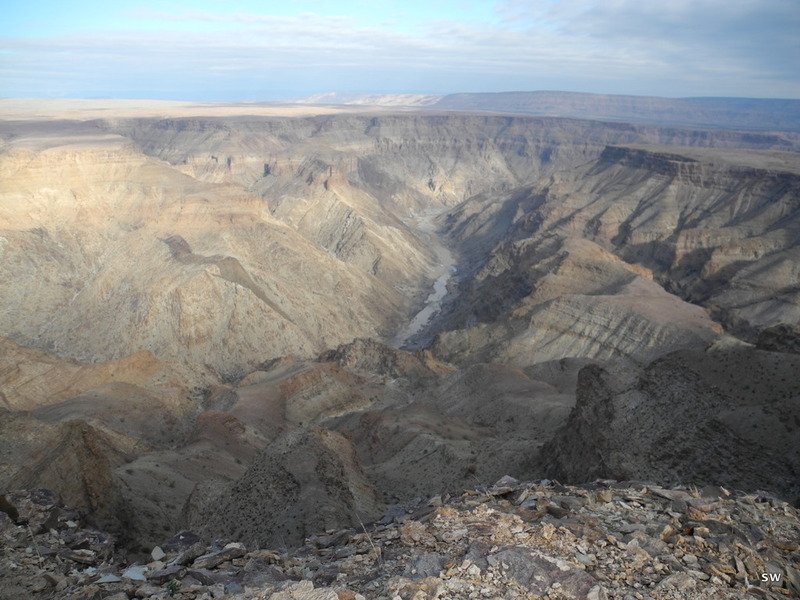 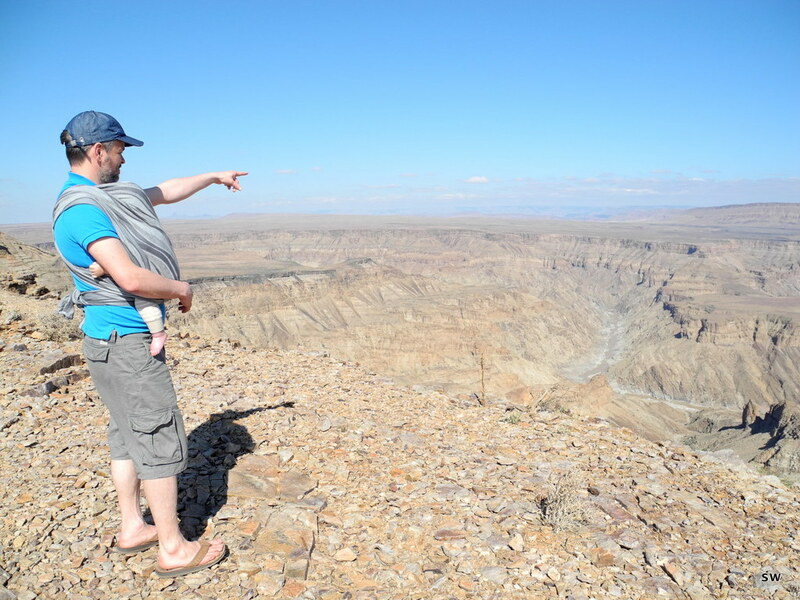 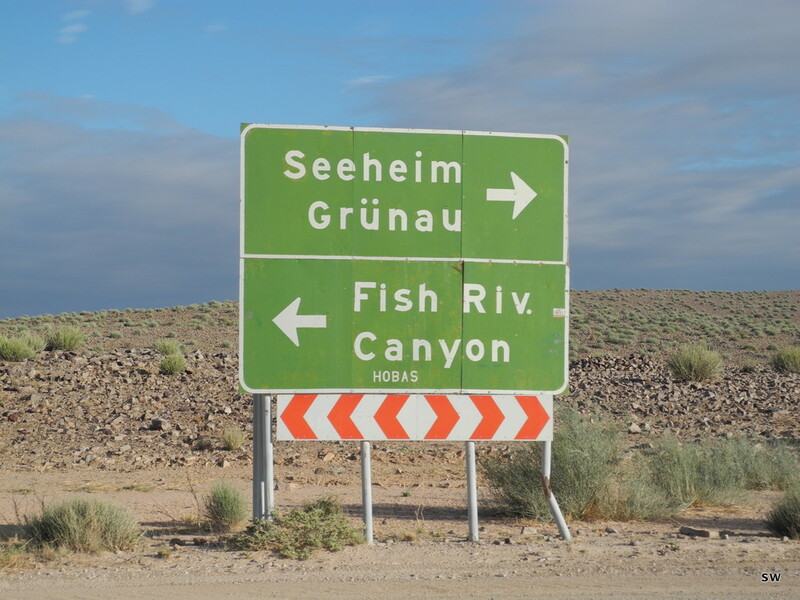 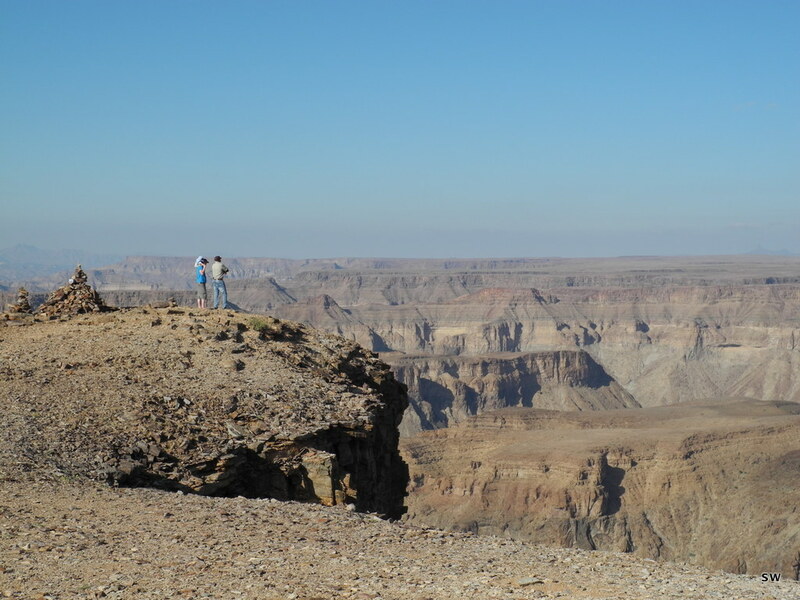 Of course we also went to the edge of the enormous Fish River Canyon and marvelled at the spectacular formations. 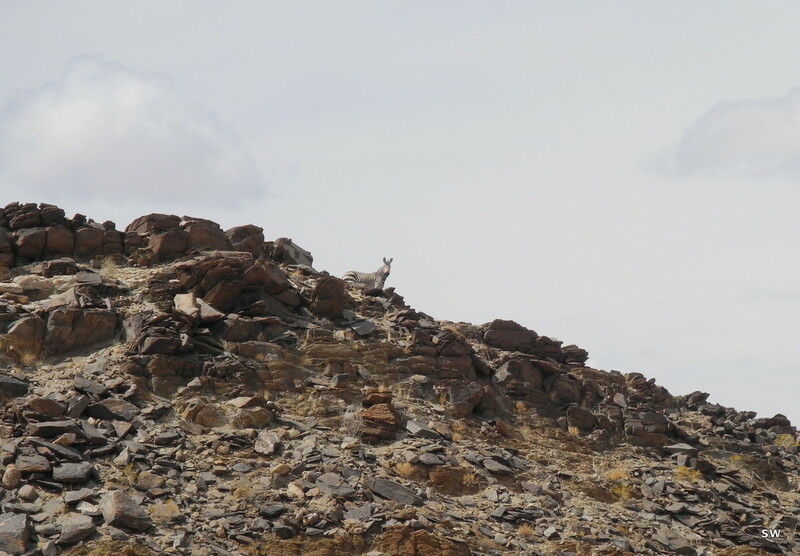 Our guide even spotted some of the wild horses down there and after a while we discovered them too. 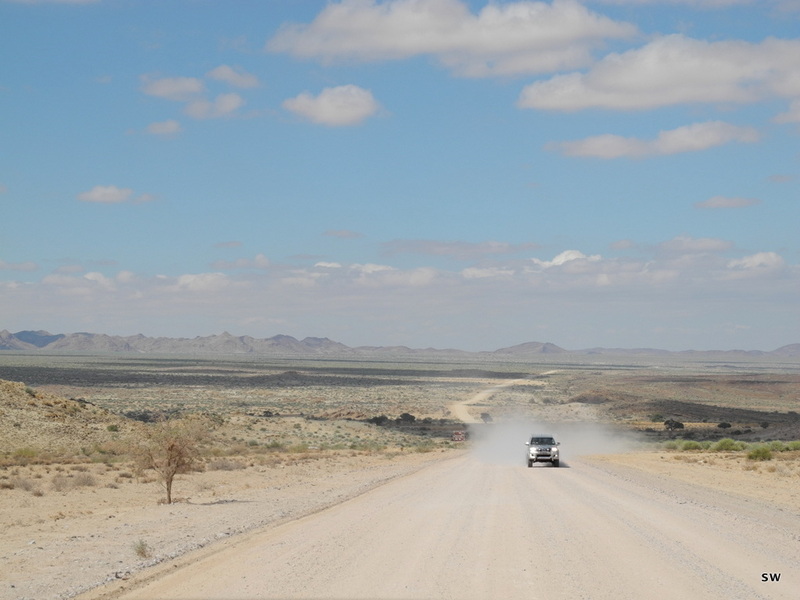 It was quite windy for the first days, the sort of warm desert wind that makes you not feel the heat. 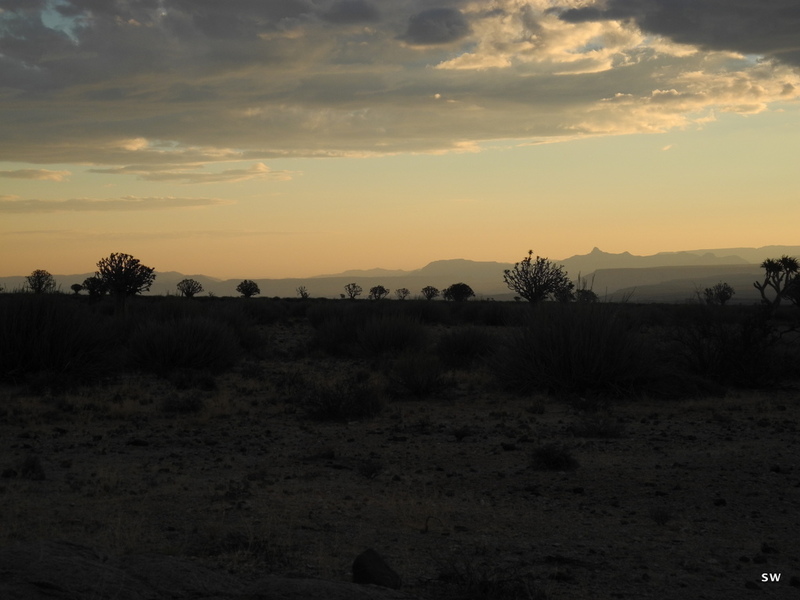 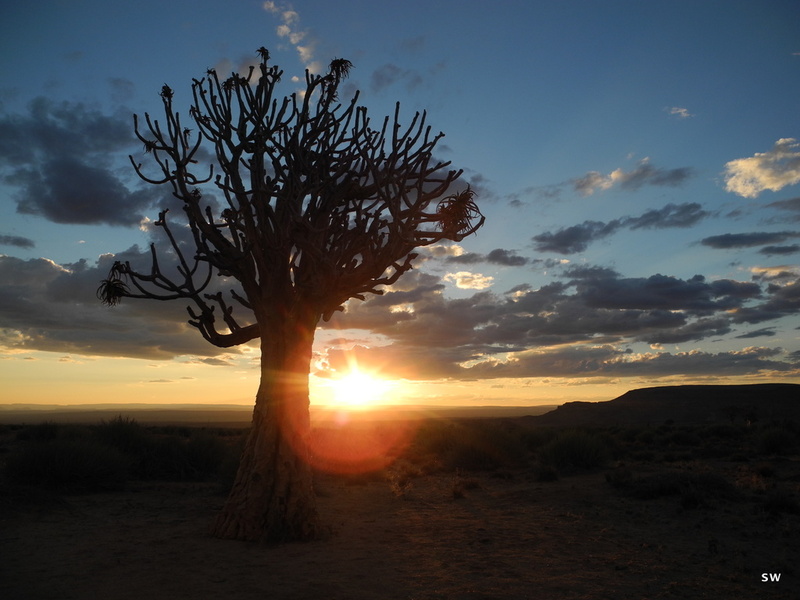 The sunsets were even more amazing than I remembered them: one day we climbed a hill, the other days we were out exploring the surrounding area and sat next to a quiver tree with a sun downer. 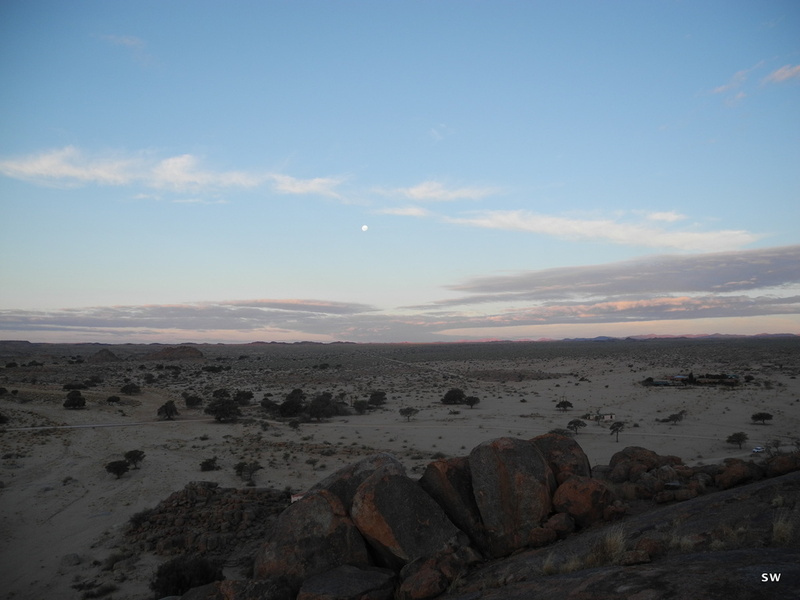 One evening after a great dinner, we went down to the pool, saw the moon rise and watched for shooting stars, while the little one was sleeping peacefully on my chest. 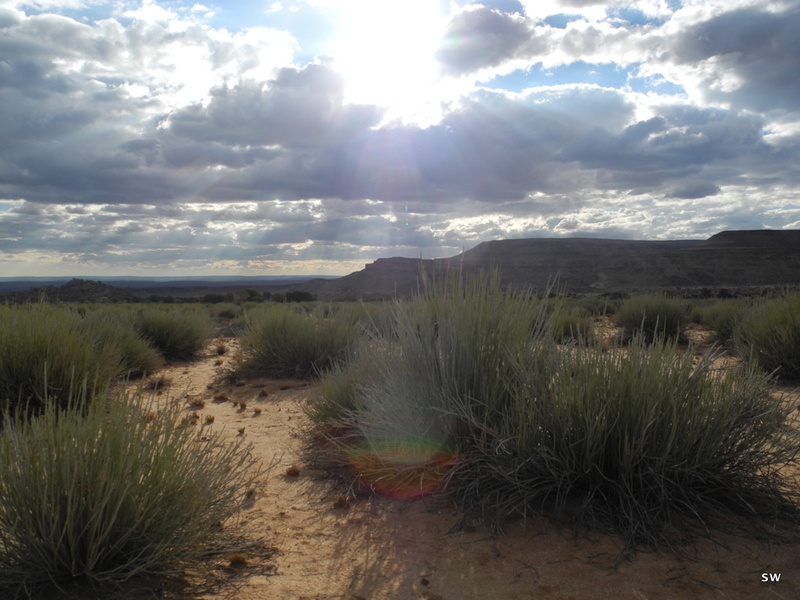 It was a really great place to recharge and reconnect, and I’m so glad we got a chance to go there!